Paul from Brisbane sent us this advert he spotted in a copy of The Economist. 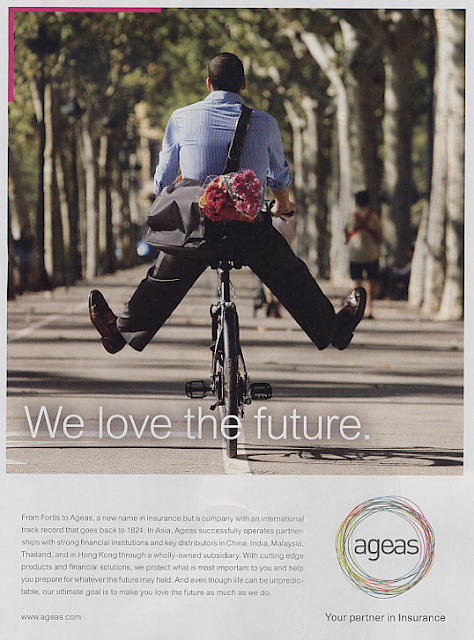 For the insurance company Ageas. "I like a future that looks like that."